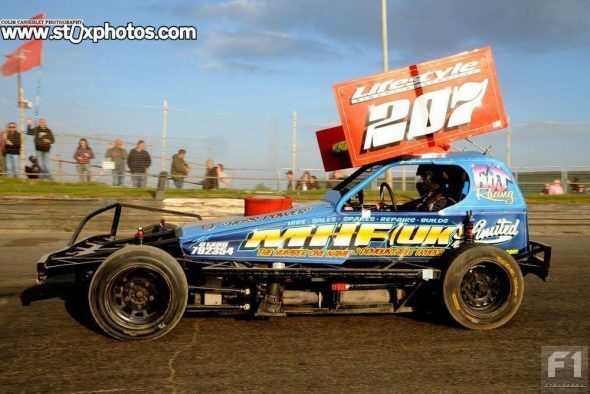 It’s time for the biggest race in the F1 stock car season – the World Final. It’s the biggest prize in the sport, the one that all the drivers want to win. The driver who takes the chequered flag at the end of the race will carry the gold roof for the next twelve months and cement his place in the history books. Drivers collected World Championship qualifying points over 16 meetings. Their total points designated their position on a World Semi-Final grid, from which the top ten qualifiers progressed to the World Final. All of the big names managed to progress apart from Tom Harris – he had a semi-final meeting probably best forgotten. Two of the other semi-finalists who didn’t make it through will take two slots on row 15 via the Consolation Qualifier – expect to see a lower grader or two come good in that race. The British qualifiers will be joined by drivers from abroad, including the regular visitors from the Netherlands and New Zealand. The foreign entrants will be seeded onto every third row, the drivers’ positions chosen by time trial on World Final day. 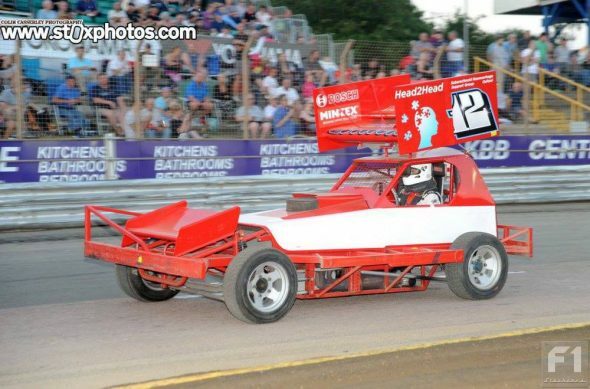 Ipswich has only ever hosted one World Final, nine years ago in 2008. On that day, Andy Smith drove off from pole position and led unchallenged until the chequered flag. Both of this year’s semi-final winners also started in pole position. So we’re due an action-packed bumperfest in the World Final, right? We can but hope. 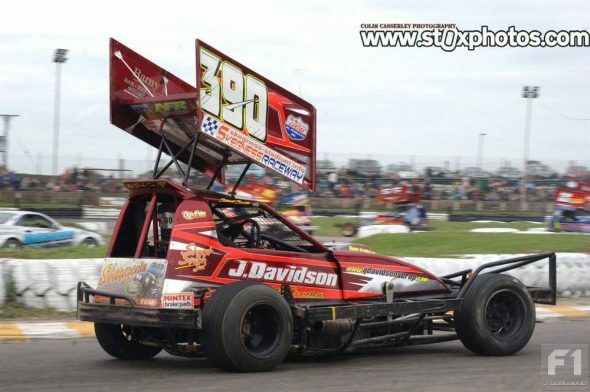 Frankie Wainman Junior can be immediately discounted as a contender since he only ever seems to win one World Final a decade. More seriously, FWJ has plenty to do if he wants to retain his title. Starting on the outside of the fourth row, he is very dependent on how the two top-qualifying overseas drivers start the race – there’s a real risk of him getting stuck by the wall on the first corner. Realistically, Frankie would probably be happy with his thirteenth career podium and plenty of sales of his new autobiography! Dan Johnson lost the coin toss and starts on the outside of the front row. Having come so close to winning this title – he finished in second place in 2011 and 2012, third in 2014, and was a race leader in 2016 before an untimely puncture – many see Dan as the driver most deserving of victory. 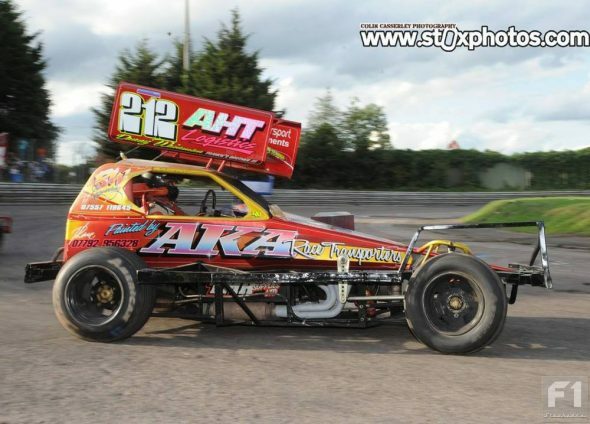 Work and family commitments mean that we haven’t seen Dan on track as often as some of the other top drivers this season, but you can be sure that he’ll be keen to show off car 4 if it has a gold roof on it! 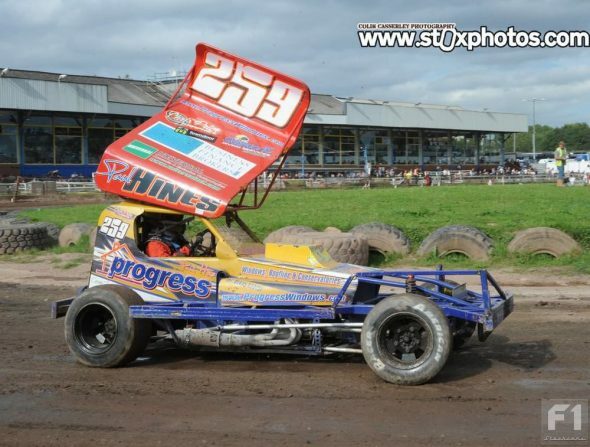 Mr Consistent Paul Hines may not be picking up many race wins, but he is getting some solid placings. Paul sneaked into the Shootout on the back of the Tom Harris ban but he was a clear-cut World Final qualifier with a marvellous second place at Stoke. The last time he picked up a title win was the British in 2010, so he’ll feel that he’s overdue a win. His car probably doesn’t have the out-and-out speed of Nigel Green, but he’ll be looking to hang in there and take advantage if misfortune befalls the pole-sitter – maybe he’ll even be the cause of it! 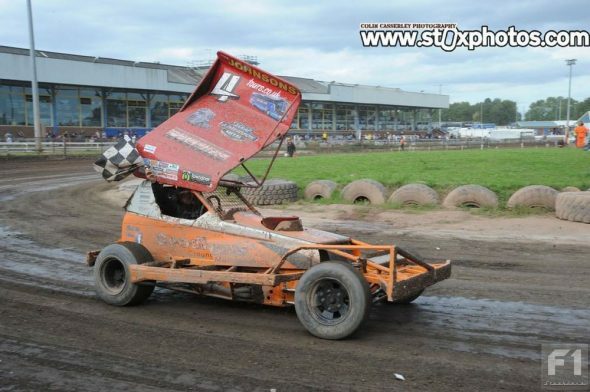 In the absence of John Lund, Stuart Smith Junior will duel with Frankie Wainman Junior for the biggest cheer as he drives onto the track. The most experienced of the front rowers, the former World, British and National Points Champion certainly knows how to turn out a big performance when it counts. It’s now seven years since the World Championship trophy has gone to Rochdale Van Centre, and Stuart will be looking to make it lucky number 13 for the Smith family. Probably the second-favourite to take the title, although he will need to get on the inside line as soon as possible after the green flag is waved. 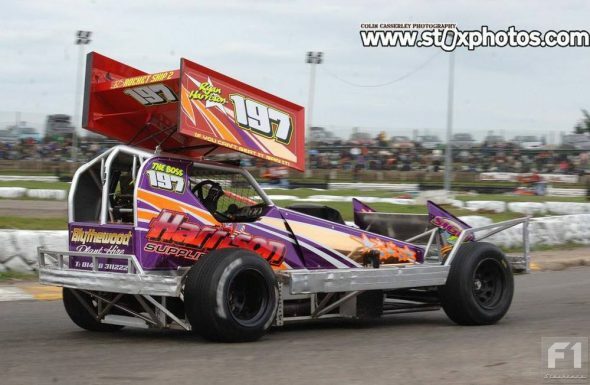 Ryan Harrison has already won one world championship this year, having taken the chequered flag in the World Cup race at Venray in August. 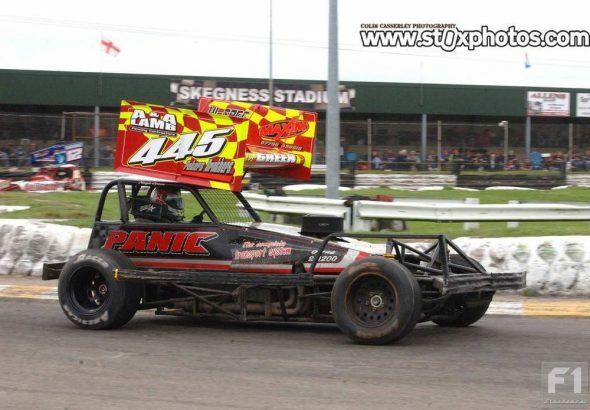 Only Tom Harris has won World Cup and World Final titles in the same season, although Frankie Wainman Junior would point out that he won the World Long Track and World Final in 1998. Ryan will be looking to add himself to an exclusive club. Will Rob Speak take his place on the grid or not? Ben Hurdman will be hoping not, because if that’s the case he’ll have a bit of clear air in front of him leading into the first corner. It’s Ben’s first World Final so he’ll need to control the nerves and adrenalin on the rolling lap, but he won’t let that stop him dreaming of becoming a debutant winner come the end of the race. Considering that Drew Lammas only started racing F1 in the Gala Meeting at the end of 2016 and missed the first six qualifying rounds, to have won a spot on the World Final grid is a fantastic achievement. If he were to win the big race from row 11, it would be a story even more remarkable than Lee Fairhurst winning from the back of the grid in 2012. It’ll never happen – but didn’t we say the same thing about Brexit and Donald Trump? 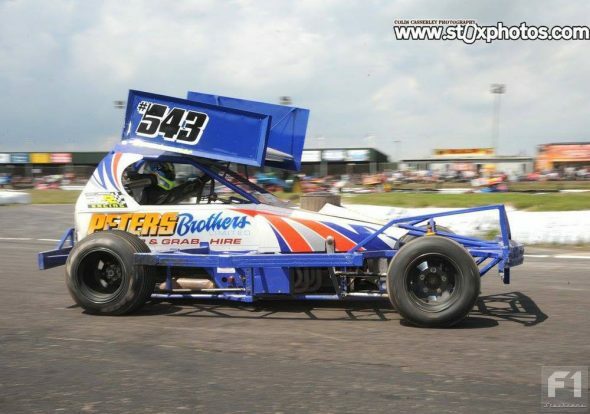 Michael Scriven may have never stood on the podium in a major championship, but he does have a creditable record of seven final wins – four of which came at Hednesford, probably the closest equivalent to the Ipswich oval. Getting close to the front runners from his grid spot on the inside of the thirteenth row will probably be too much to ask, but don’t be surprised if Michael passes a fair few cars to get into the top ten. Danny Wainman will be disappointed to line up alongside Scriven on the thirteenth row, having started his semi-final on the front row. Still, he has made it to the big one, and can probably rest easy that he won’t get a big shove from behind on the first corner – lining up behind him will be his nephew, Frankie Junior Junior. Danny’s best ever World Final finish is seventh – he’ll be looking to improve on that this year. Between them, the 20 semi-final qualifiers have amassed 164 World Final appearances. 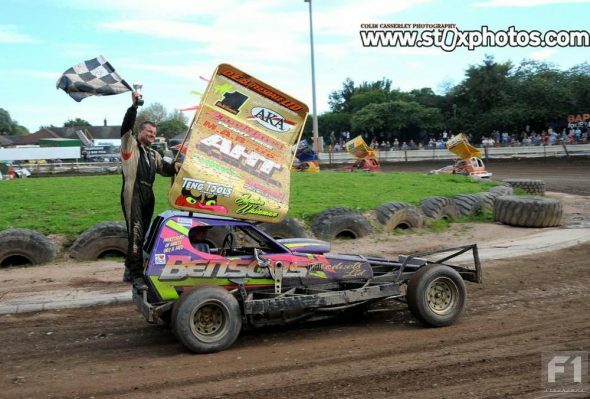 Top of the list by some distance are Paul Harrison and Frankie Wainman Junior, with 28 and 27 respectively.